Marketing and customer loyalty: Monster Loyalty, Creating Customer Evangelists, and Citizen Marketers. Building confidence, taking risks and live more fearlessly: Fiercely You. Fiercely You is a creative, playful approach to the serious problems that people face regarding confidence and risk-taking. Drawing on her own experiences and interviews with the world’s top drag queens, this RuPaul-endorsed book offers five "Keys to Fierce" that will help readers find the courage to ignore criticism and live more fearlessly—no wigs or stilettos required. Jackie coined the term “customer evangelism” with her first book Creating Customer Evangelists (with coauthor Ben McConnell). Customer evangelists are customers who are so thrilled about their experience with your product or service, they become outspoken evangelists for your company. This group of satisfied believers can be converted into a potent marketing force to grow your universe of customers. 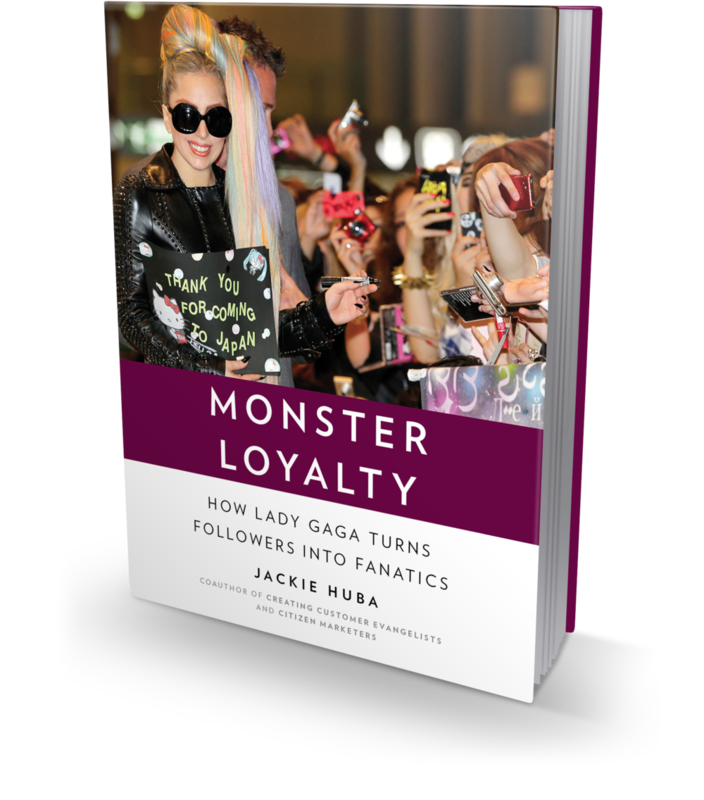 Authors Jackie Huba and Ben McConnell explain how to convert already loyal customers into influential and enthusiastic evangelists. The year-long research project that led to Creating Customer Evangelists outlines the framework for developing evangelism marketing strategies and programs. The ultimate goal is to create communities of influencers who drive sales or membership for your company or organization. Citizen Marketers was one of the first books to document the emerging world of social media and how brands should begin to embrace a participatory culture. Jackie's research (along with coauthor Ben McConnell) on highly engaged customers led to the theory of the “One Percenters,” people who create content on behalf of companies, brands or products who are a small but very influential part of an organization's customer base.